As the summer holidays draw to an end, you’re probably not the only one wishing you could do it all over again. Whilst the holiday might be over, the memories are there to stay. Whether you’ve got a fancy DSLR, a smartphone cam, or were snapping away on your old digital camera, you’ve probably got some pretty special memories in the form of photos that you’re keen to share with your family and friends. The chances are that not all of the pictures you’ve taken are brilliant and of super high quality, and when you’re faced with a huge catalogue of images to sift through, identifying the best pictures can be tricky to say the least. You might have taken the odd photo (or more!) that you think should feature on the front page of the search results of ‘sunset’ or ‘jungle’ when you’re searching websites such as Flickr for user added images. Sometimes the photos you get served are from photographers with thousands of followers, but if your picture’s just as good, how do you get noticed?! Flickr has millions of uploads every day, and lots of these pictures don’t get the exposure that they should due to poor tagging, lack of followers, and other factors. Flickr have built an algorithm to distinguish high-quality photographs from casual snapshots and are training their machine learning model to predict the likelihood of images being of high, medium, or low quality. But what is a good image? It’s quite a subjective call to make, you could have taken a picture that you find to be aesthetically pleasing, whereas your family might dislike the image. The image on the left is clearly better than the image on the right, but why is that? 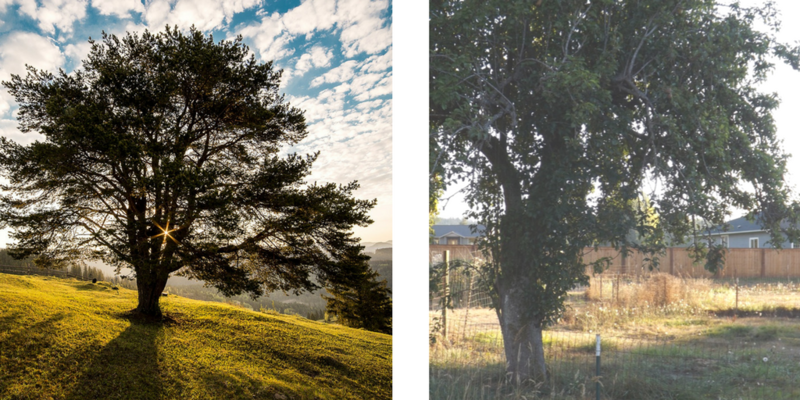 They’re both pictures of trees, in a field, with the sun shining from behind. Amit Kushwah from Zomato, explains that there are universally accepted norms when it comes to beauty ‘things which everyone pretty much agrees are beautiful, like sunsets or sunrises over the mountains or the ocean’. Upon speaking at the Deep Learning Summit in Singapore earlier this year he discussed the factors that are taken into consideration when identifying a ‘good’ image, and begins to explain how the above images would be classified: lighting, contrast and angle all determine the aesthetics. To hear more about Zomato’s Image Aesthetics Assessment system, you can watch Amit’s presentation here. Stacey Svetlichnaya, Software Development Engineer at Flickr expanded on Zomato’s thoughts by discussing the aesthetics visual analysis system that Flickr uses. The system contains over 250k images that come from a photo challenge site, and each photo gets challenged around 210 times. People vote on these images and the machine is able to learn from the types of photos people are rating highly and serve these first in search and discovery results. Both Flickr and Zomato’s visual aesthetic algorithms learn to label and distinguish between images with machine learning models with the goal of presenting high quality images to users. 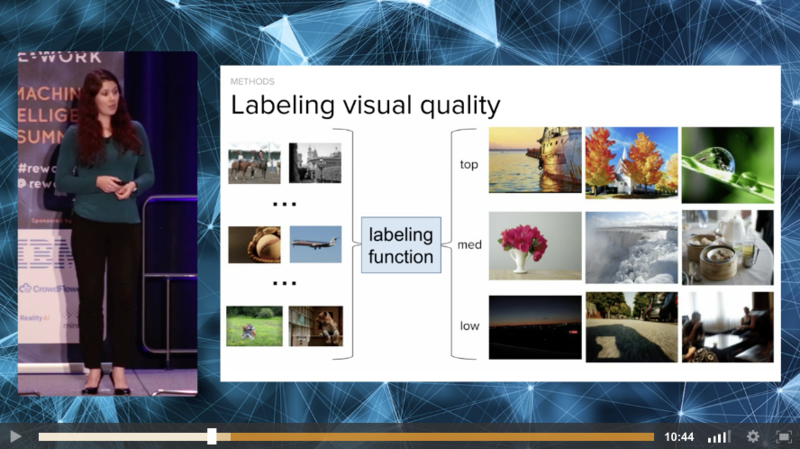 Watch Stacey's presentation on quantifying visual aesthetics here. Next time you go on holiday, be sure to take the aesthetics of your image composition into account, then when you’re uploading them you never know - maybe the algorithm will rank your image highly and be served in the recommended search results! To hear from more companies like Flickr and Zomato and how they're leveraging AI and deep learning to improve efficiency and enhance customer experiences, check out RE•WORK's upcoming summit's. We're currently offering a 25% discount on all events in 2018 (excluding dinners) when you register before August 31st using the code: SUMMER. Find out more about our San Francisco Summits and register now to guarantee your discounted place.